Dallas Fort Worth Foundation Repair is a Registered and Insured Farmers Branch Foundation Repair Contractor! Our firm, Dallas Fort Worth Foundation Repair has been involved with foundation repairs and installations for over for over 14 years. We repair both residential and commercial foundations. We currently repair more than 120 foundations per year. We run 6-7 man crews who have been working together for years. We employ two full time personnel who specialize in the pressing of piers and the lifting of foundations. This is a highly skilled labor position and we employ the best. We pay top dollar to our people so we employ some of the best foundation repair personnel in town. We offer a very fair price to our customers and we deliver a quality product in the time promised. 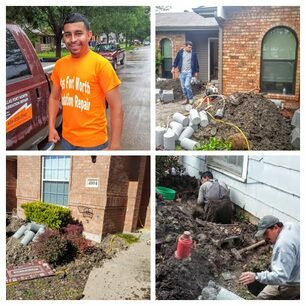 We have members on our crews that have been fixing foundations for over 21 years in the Dallas area and have several crew members who are 2nd generation foundation repair experts. Our foundation inspectors will check first to find what has caused your foundation problem, then determine what it takes to correct it so it will not happen again. We use a state of the art zip level to measure your floor elevation and it is accurate up to 0.005 of an inch. We strive to ensure our customers get their homes fixed correctly and as cost effectively as possible. We offer the use of third party engineers on our engineered foundation repairs or we will use the engineer of your choice. 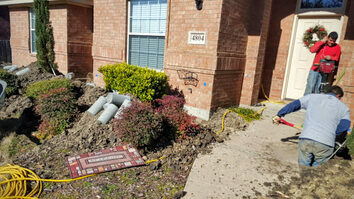 We offer some of the BEST PRICES in Dallas and Fort Worth for Foundation Repair. We hope you give Dallas Fort Worth Foundation Repair a chance to bid on your foundation improvement project.